Click or download the image above. 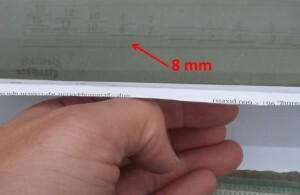 Print on A4 white paper, fold, press against glass pane and view under 45° angle. 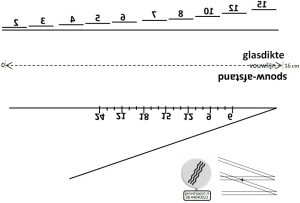 Easy and free optical measurement of glass thickness and airspace. Look for the intersecting line reflection. DIY window glassmeter gauge glass performance double glazing acoustic insulation. 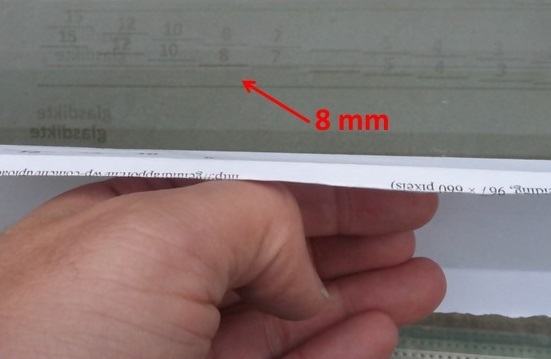 Optische glasmeter voor venster downloaden spiegeling reflectie relfecties spiegellijn.